4k00:27VENICE, ITALY - circa APRIL, 2015: Grand Canal transportation with vaporeto waterbus and small boats. View from floating boat. 4k00:51May 2nd 2017 - View from the Ponte degli Scalzi bridge at Canal Grande/ Grand Canal in Venice, Italy. 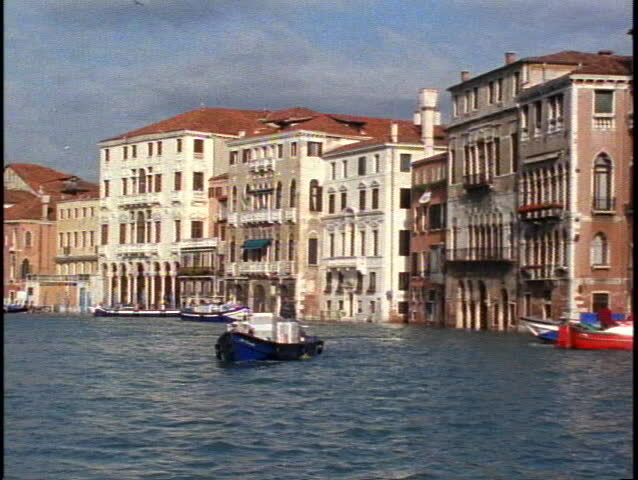 Beautiful architecture of Venice, San Croce and its unforgettable canals in sunny spring day.